The film crews joins Transitions for a morning meeting. Alberto chats with the camera man. Edgar looks on from a safe distance. Joel discusses upcoming activity in the clinic. 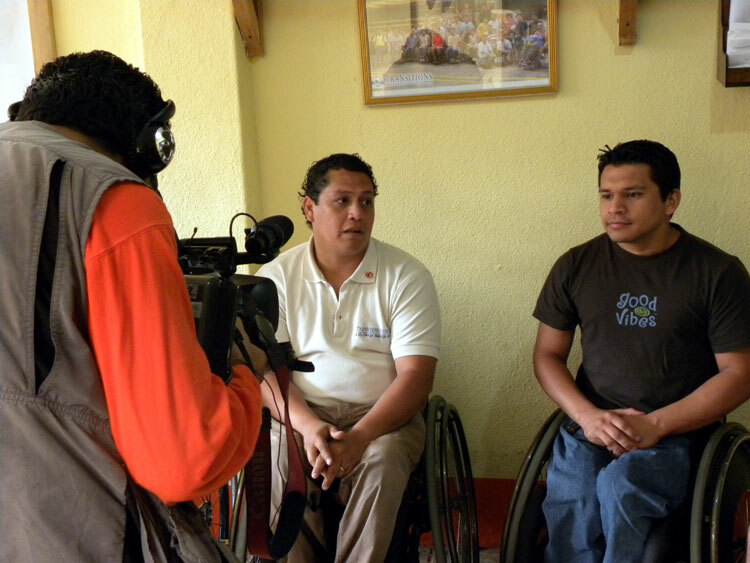 The faces at Transitions now represent the disability movement in Guatemala and all that can be achieved with a strong support system after being featured on Entremosle a Guate, a popular national news program. The show aired on Friday night and is now available online on the show’s website. 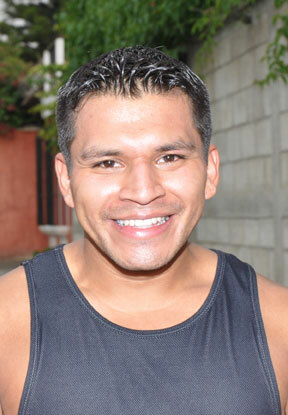 September’s episode presented the difficulty of living with a disability in Guatemala and shared powerful interviews by Alex, Juan, Fredy, and a Transitions prosthetic client. 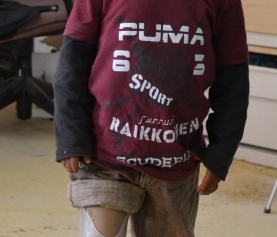 Transitions technicians took viewers through the prosthetic process and showed the impact that a new limb can have in someone’s life. It might have just been another day at the clinic for Adolfo and Joel, but for many it was a chance to witness something amazing. 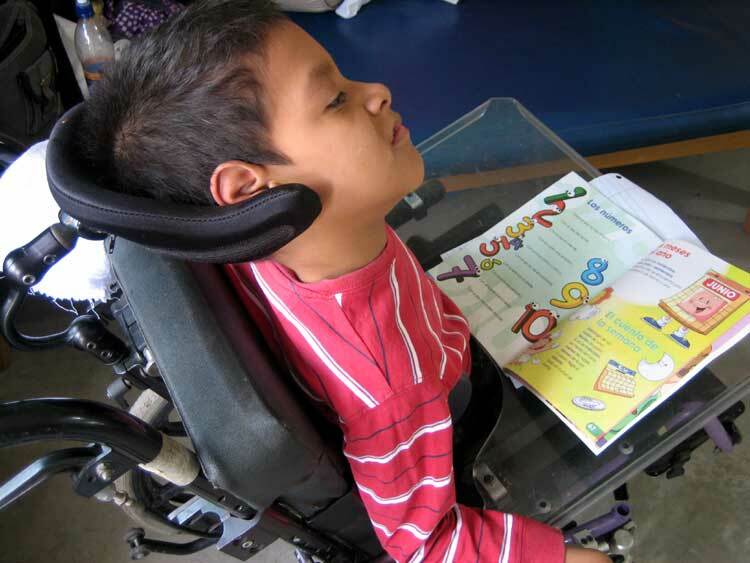 Guatemala has passed laws to increase accessibility in the country and provide opportunities for people with disabilities but fails enforce them or make any dramatic changes to the existing and highly inaccessable infrustructure. To meet with the Antigua mayor several weeks ago, one Transitions staff member had to be driven to the appointment in a private wheelchair lift van then carried up two flights of stairs. Signs of progress are difficult to find and discouraging for the disabled community.